Companies have only recently begun taking advantage of recent SEC regulations that allow projects to raise funds. The two regulations, Reg. Crowdfunding (C.F.) and Reg. A, allow companies to secure up to $1 million and $50 million. These avenues for fundraising are compliant, cost-effective, and synergistic with ICOs. Disclaimer: I’m not a legal professional, nor is the content or advice presented in this article representative of these regulations. Please do your own research before investing or participating in an ICO. These classifications result in a gray space where some cryptocurrencies attempt to avoid regulation, some are uncertain but may be penalized in the future, and some that are securities that the SEC has not yet acted upon. This kind of activity was seen in the SEC’s recent string of enforcement actions. Just this month there were a series of high profile investigations. The founder of decentralized exchange EtherDelta, Zachary Coburn, was charged with operating an unregistered securities exchange. 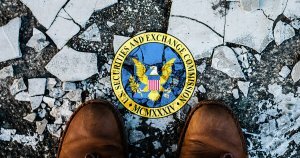 Two ICOs, Paragon and AirFox, were penalized for failing to register their tokens as securities with the SEC. That said, in a comment from StartEngine, companies that are penalized by the SEC could choose to re-offer their tokens using the security offering regulations as outlined below. Prior to 2015, in order to raise funds, companies had to go through the lengthy initial public offering (IPO) process, which requires an enormous amount of accounting and legal legwork. According to a report from PwC, an IPO costs on average $4.2 million, plus a hefty 4-7% of gross proceeds raised from the offering. The oft-opted alternative, a Regulation D (Reg. D) exemption, allows companies to raise funds strictly from accredited investors. Accredited investors are individuals who earn more than $200,000 annually over the past two years, or have a net worth of at least $1 million (excluding the value of their primary residence). In aggregate, these regulations have limited investment opportunities in startups and small companies to the wealthy. However, a new piece of legislation has changed the current state of affairs. The Jumpstart Our Business Startups (JOBS) Act was signed into law in April 2012, and mandated that the SEC implement new regulations that make it easier for companies to raise funds, especially from distributed pools of investors. Two additions to the fundraising regulations were added to the Securities Act of 1933. Regulation Crowdfunding (C.F.) and Regulation A(+). These regulations allow projects to raise up to $1 million and $50 million, respectively, without going through the costly requirements of a traditional public offering. The most exciting of the two regulations, Regulation C.F., was implemented in May 2016. This regulation allows projects to raise over a million dollars to small-time investors. The regulation allows individuals to invest $2,200 and up, depending on income, through a registered broker-dealer or funding portal. Meanwhile, Regulation A was implemented in March of 2015. Regulation A allows a company to raise up to $50 million, within a given year, without going through the strict IPO process or the narrow Reg. D exemption. Regulation A is split into two tiers. Tier 1 offerings allow a company to raise up to $20 million over 12 months, and a Tier 2 offering up to $50 million. Tier 2 offerings require additional investor screening and disclosures. To see the full list of requirements and benefits of these offerings go to the following links: Regulation C.F. ; Regulation A. One fascinating observation is that broker-dealer and crowdfunding portals have been slow to crop up in response to these regulations. Even though these regulations were implemented over three years ago, it is only now starting to have an impact. At the moment, only 40 or so companies are registered as broker-dealers or funding portals. Many of these portals are only raising limited amounts of funds, in-operational, or do not service the crypto markets. In all, there are only three competitive crypto funding portals taking advantage of these regulations. The most notable of the crowdfunding platforms, StartEngine, is one of the portals that stand out; The company launched the first Regulation C.F. ICO, and has since helped cryptocurrency companies raise millions. Another popular crowdfunding platform, Republic, received the backing of Binance and has helped ICOs raise millions in compliance with the SEC. These regulations have the potential to unlock a swath of investors who were previously too reluctant to invest in wildcat ICOs. With the potential to save ICOs millions in penalties and legal costs, these regulations could improve investor confidence as compliance becomes more streamlined. Nov. 24, 2018, 11:00 UTC: Article was recalled for corrections and clarification after review. Nov. 26, 2018: 23:30 UTC: Article was revised with additional comments from StartEngine.